We have seen enough of Ethereum killers, but Ethereum still survives till date. But will that we the case after five years also? Well, I don’t have the crystal ball to tell that but having said that I don’t mean that we will not have Ethereum by then. Because one such Ethereum killer exists in the cryptosphere right now also and it is called – Cardano. For those of you who don’t know Cardano, it is a blockchain 3.0 platform for hosting smart contracts and DApps that promises to be more scalable, governable, and interoperable than Ethereum. Well anyways, I don’t want to speak more about Cardano now because many of you already own it and have come here to know about some of the best Cardano Wallets to store your ADA. This was also expected because for quite some time Cardano community has been yearning for a more convenient way of interacting with Cardano blockchain. AdaLite formerly known as CardanoLite is a lightweight web wallet for storing your Cardano safely and securely. AdaLite is developed by Vaccumlabs developers, who are fans and holders of Cardano understood the need of the hour to create a more user-friendly wallet for Cardano users. To use AdaLite you don’t need to do any registrations or installations. Instead, you can directly access the wallet at AdaLite.io URL. When you make a new wallet using AdaLite, you generate a 12-word mnemonic phrase which is like the key to your Cardano wallet. Losing this key means you will lose your all funds, so keep it very safely. Having said that AdaLite is a self-hosted wallet and no one, even AdaLite doesn’t store your data or keeps any kind of back-up of your funds. Lastly, AdaLite is compatible with Trezor Model T and Daedalus wallet, so you have this option to explore as well. Note: AdaLite doesn’t support Cardano Staking. Trezor Model T is the new improved model of earlier Trezor hardware wallet, and the good news is it supports Cardano including hundreds of other cryptocurrencies. 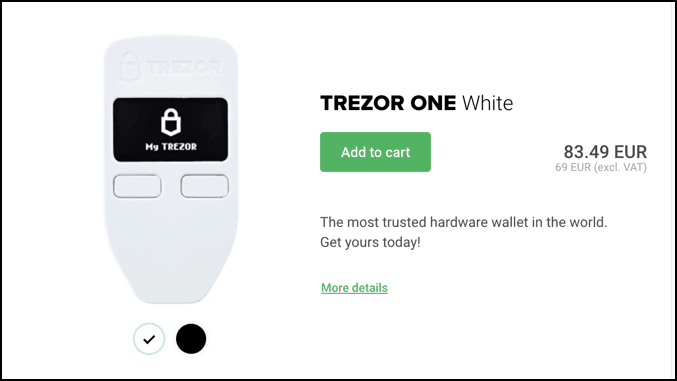 Trezor is also one of the pioneers in the field of hardware wallets and has been developing wallet solutions from last five years. It is a small device with a mini OLED screen on it from where you authorize the transactions on screen. Trezor is a self-hosted HD wallet where you control your private keys with a 12-word seed or passphrase which is of paramount importance nowadays to protect any crypto assets. But a thing to note is, you need to use Trezor Model T with AdaLite because that gives you the UI to interact with your ADA store on Model T. Note: Only firmware version >= 2.0.8 is supported for this feature. Daedalus is the official wallet for Cardano cryptocurrency. It is a full node desktop client where you are required to download the whole blockchain and wait for sometime for synchronization. With Daedalus wallet, you can make a number of hierarchical deterministic (HD) wallets to store your ADA funds. Apart from that Daedalus wallet is also a self-hosted wallet where you get the seed for backup and recovery. That’s why you remain in all control of your funds and can securely send/receive/manage Cardano using the Daedalus wallet. 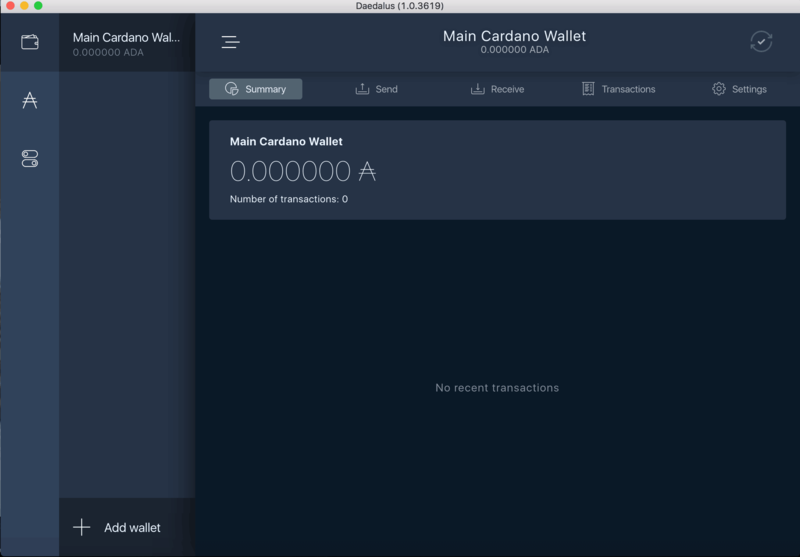 Another good reason to use Daedalus desktop wallet client is that it is developed by Cardano team and it also supports Cardano staking. Lastly, you can make Cardano paper wallets as well using Daedalus where the wallets can be exported to paper certificates, giving you the maximum security of placing funds in a cold storage. Note: As of now, no other Cardano wallet supports staking of Cardano. Also, their iOS and Android app are under development. Yoroi is a web light wallet for Cardano. 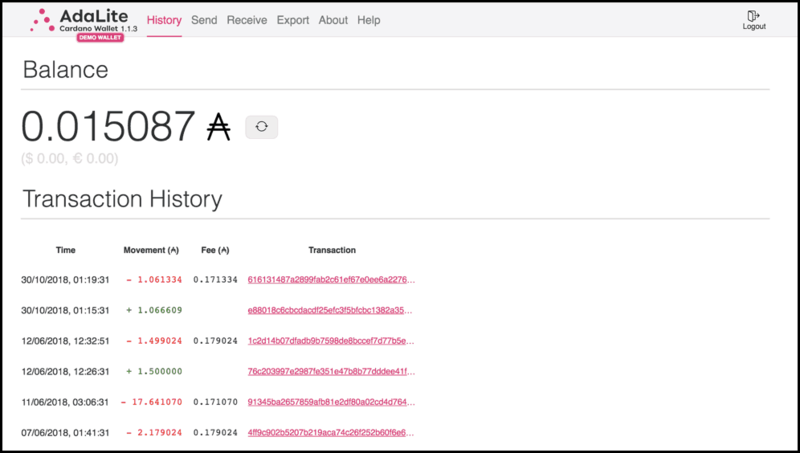 Light wallets don’t need to download or synchronize the blockchain like the Daedalus one. This means that once you open the wallet, you can send or verify the reception of transactions right away. Another simple way of understanding it would be: Yoroi is light, hierarchical deterministic (HD) wallet for Ada (cryptocurrency) that runs as a Chrome extension. This wallet is also official wallet of Cardano as it is developed by Emurgo and engineered by IOHK, which are official representatives of Cardano project. When you set up Yoroi wallet for the first time, you are given 15-word recovery phrase. Keep this very secure as losing this would mean losing all your funds. 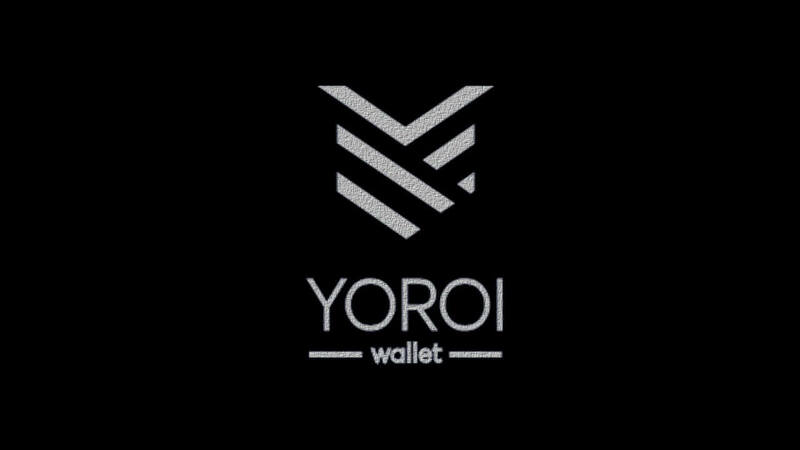 Plus, Yoroi is a self-hosted wallet meaning private keys are stored encrypted on the user’s machine only while using Yoroi. So you needn’t worry about security. However, I would recommend you to be aware of phishing attacks while using web wallets, so keep that in mind. Note: This wallet doesn’t support Cardano staking. Looking for a lightweight desktop wallet for Cardano? Well, we have something for you as well. 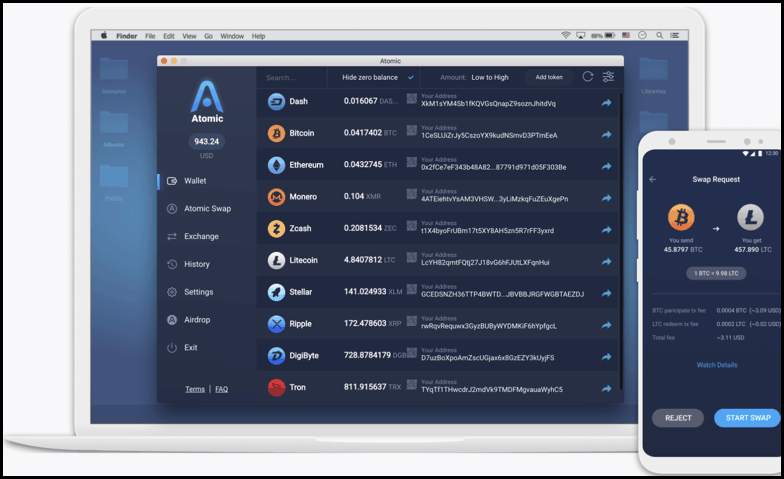 Atomic Wallet is another multi-currency HD wallet for storing hundreds of coins/tokens including Cardano. Atomic Wallet is presented by the ex-CEO of Changelly and has so far been a decent wallet for desktop crypto users. You can not only store/receive/manage your Cardano in Atomic wallet but also can use their non-custodial Atomic Swap exchange with the decentralized order book to exchange it in other currencies. For some currencies, they also have ShapeShift and Changelly integration also in place for anyone to exchange currencies in the app itself. I know many of you might be thinking that there aren’t that many Cardano wallets to choose from but believe me these are enough options for a blockchain that has been here for such a short time only. If you were there a year ago, you would not have found even these many options to store Cardano. Also, I am sure that with time and maturity of Cardano project you can expect a lot more wallets as you have now for Ethereum. Another thing that bothers Cardano users is the lack of Cardano Android & iOS wallets which is a genuine concern, but that too will be sorted as Daedalus is working on it. There is also one mobile wallet for Cardano users (iOS and Android), i.e., Infinito wallet, but I am not sure about its quality yet, but if that changes, I will put it in my list. Moreover, the good news is, Cardano, is coming to Ledger Nano S, so if you have one then you can relax or else you can get yourself Ledger Nano S-one of the best hardware wallets for all cryptocurrencies. Lastly, I urge you to take out your Cardano or other cryptocurrencies from the exchange and if you want a Cardano hardware wallet right now then you can check out Trezor Model T.
So that’s all from my side in this round of best Cardano wallets, and I shall update this list time to time as more Cardano wallets hit the market ! !